You are currently browsing the category archive for the ‘starting a new day’ category. It is confession time. Getting up this morning was painful. “More sleep” was the inner voice screaming at me to shut my eyes tight and curl up under comfortable sheets. Then, I peaked through one open eye and saw the time. “Groan,” time to be a responsible adult and go to work. Maybe a shower would refresh my soul to a new day. Honestly? There have been a few times when I have closed my eyes in the shower, leaned against a wall just to rest. Rarely, have I startled myself awake only to realize that I wasn’t swimming my morning laps but gasping for air while the shower hit me in the face. Maybe years of experience got me on track for my morning commute. Or it could have been a legion of Guardian Angels working on overtime to get me safely to where I needed to be. Poor angels! Driving toward the Interstate was worth the tough morning start. 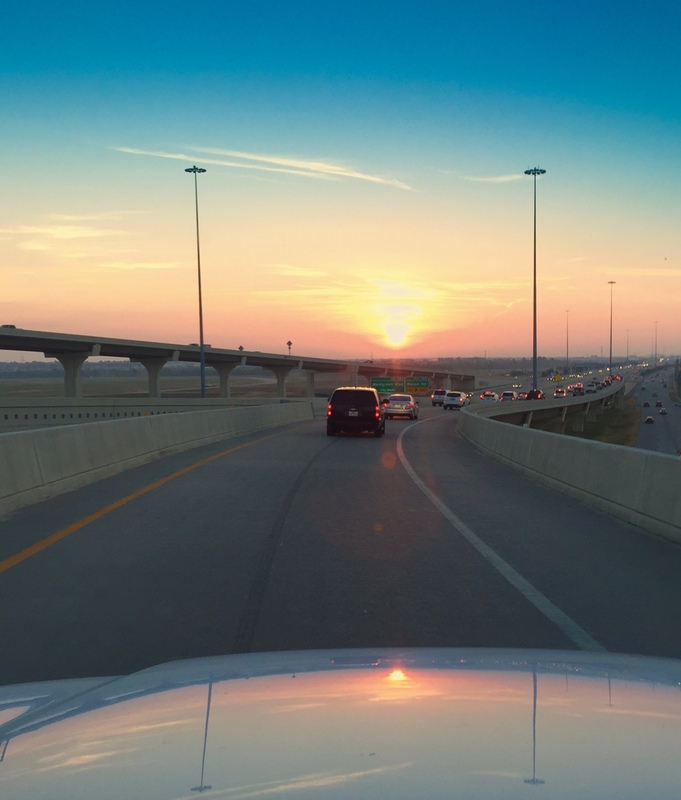 On the entry ramp that is equivalent to a Texas fly over due to the height, gave my wonderful wife and I a spectacular view of the city of Katy waking up with us. It was a smile-making new day start. The weather forecast looks brutal today. It is the sun that will be prominent as our Texas temperatures soar above 100 degrees. Yet, this morning our solar systems single star was pleasant, bright and welcoming. OK, it was the air conditioning that kept us cool while the sun was warming up. Nevertheless, high temperatures and stifling humidity were at bay. Now, the colors of the rising sun and its filtered rays just made me smile. I was glad to welcome the morning. The past slow start was history. Now I could feel the momentum of a new day surging through my body. Light has a way of driving out the darkness of moaning and groaning. Shadows no longer win. Now, all can be seen and a soul can drink in the hopes of a new day. It was a long morning to finally wake up. I would just as soon keep the skid marks by my bedside fresh. However, my day’s start, I am always thrilled to see the Creator’s fingerprints where He makes me look. Are you as much in love with the morning as I want to be? Do you feel yourself waking up and taking in the possibilities of a new day?